US National Parks aren’t dog friendly, while we knew this was the case for some parks we had heard it varied by park. We are always on the lookout for the dog friendly options at each National Park. 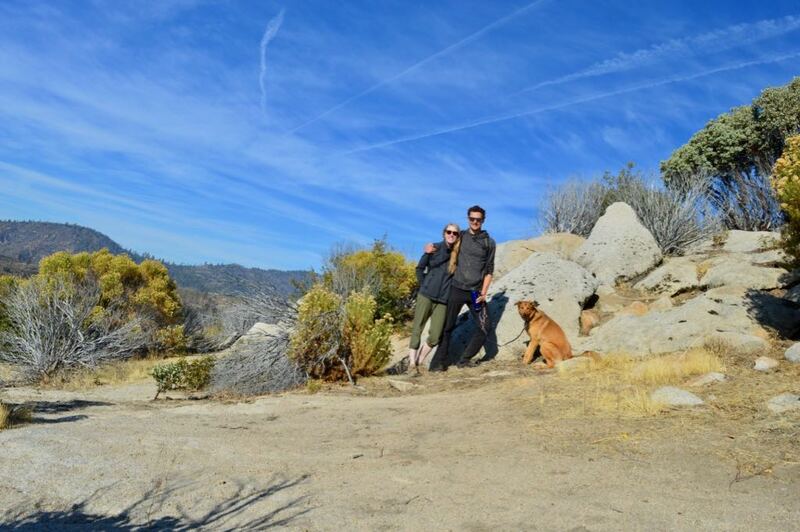 We have been to quite a few National Park’s now and in general the rule is the dog’s must always be on a leash and stay on paved path areas, no hiking trails. Yosemite, was probably one of the more dog friendly National Park’s we’ve been to as there was a longer paved bike trail in addition to a few shorter paved pathways that were dog friendly, however the back-country trails were still a no-go. For this reason, we haven’t spent as much time in National Parks and instead have enjoyed the state parks, national forest and BLM land that often surrounds them. 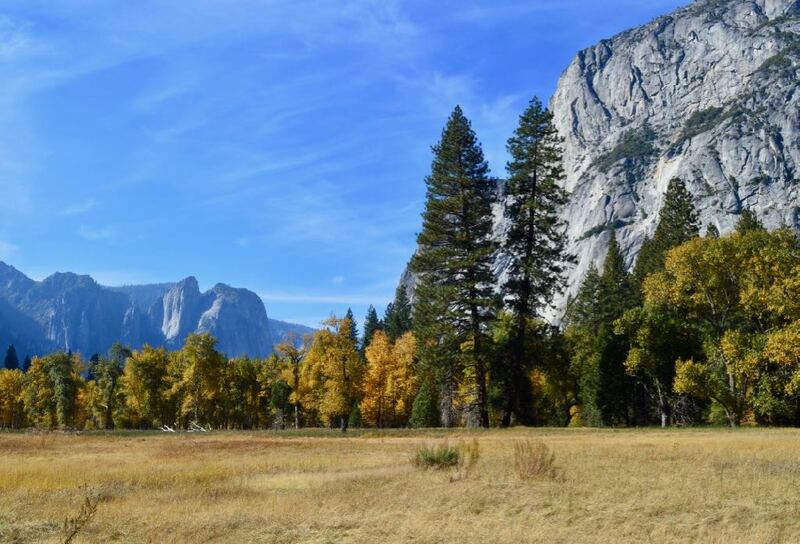 Dog friendly(ness) aside we have not for a second regretted visiting a National Park and Yosemite was no exception. You must visit Yosemite if you ever get the chance, these were truly spectacular mountains and even though Mitchell and I grew up in the shadows of the Rockies we were completely impressed by this new landscape. We were fortunate to visit in Fall which had the added benefit of the beautiful colours and less people! The landscape easily looked like it could be a painting. Family photo in Yosemite National Park. We have been working on improving our “self-timer” photo shoots! 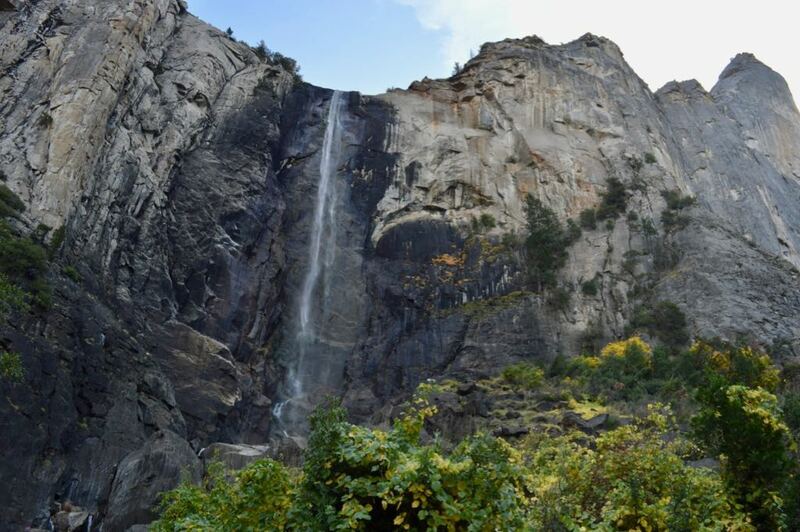 Bridalveil Falls in Yosemite National Park. There is a paved trail so you can take your dog right to the falls! After Yosemite we had originally planned to make our way to Death Valley. We were contemplating which route to take and realized that we could take a slightly detour further north and visit Lake Tahoe. After some discussion we decided to take the little detour and check it out. 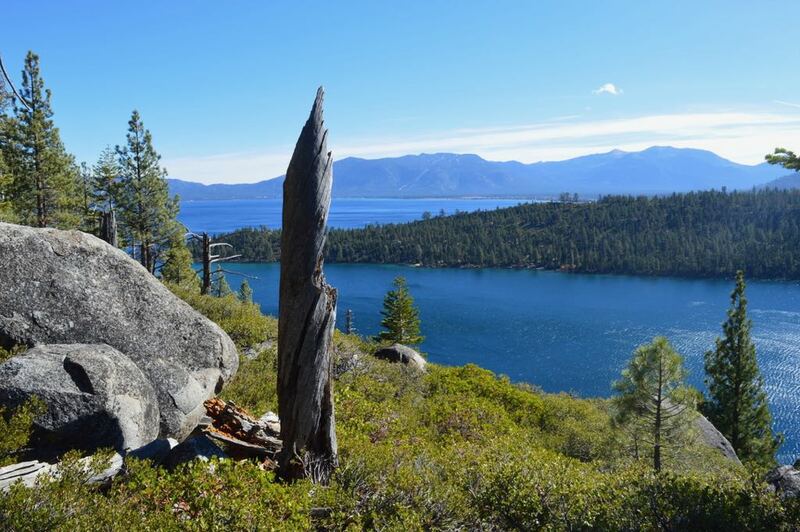 We can see why Lake Tahoe is such a popular place, the lake itself was beautiful and there seems to be signs everywhere for ski hills and endless outdoor activities. Lake Tahoe and Emerald Bay. We ended up staying two days at the Zephyr Cove RV Park and Resort. We were able to do laundry on site, shower and even use their Wi-Fi to catch up on work. We had ended up traveling farther then we planned each day and it was nice to recharge and stay in one place a little longer. We’ve come to the conclusion we’re still working on slowing down.